When I arrived at Orphans of the Storm® this week, Tiger the Chihuahua was working as greeter in the front office. And greet me he did! He wanted to hop right into my lap, snuggle, and give some doggy kisses. Wouldn’t you love to come home to that every day? 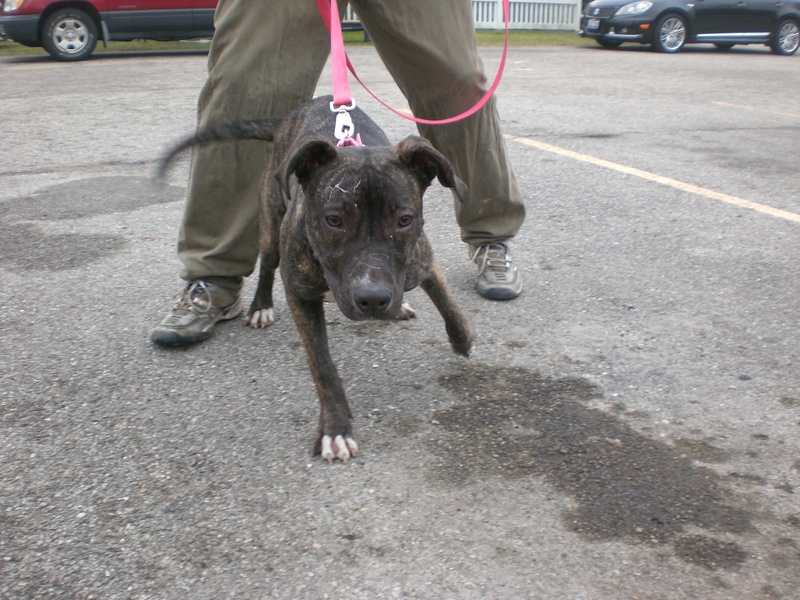 Tiger is sure to bond quickly with his new family, since he seemed extra-happy to see me and I’ve only walked him once! Now, onto some new dogs (and a couple old favorites)! 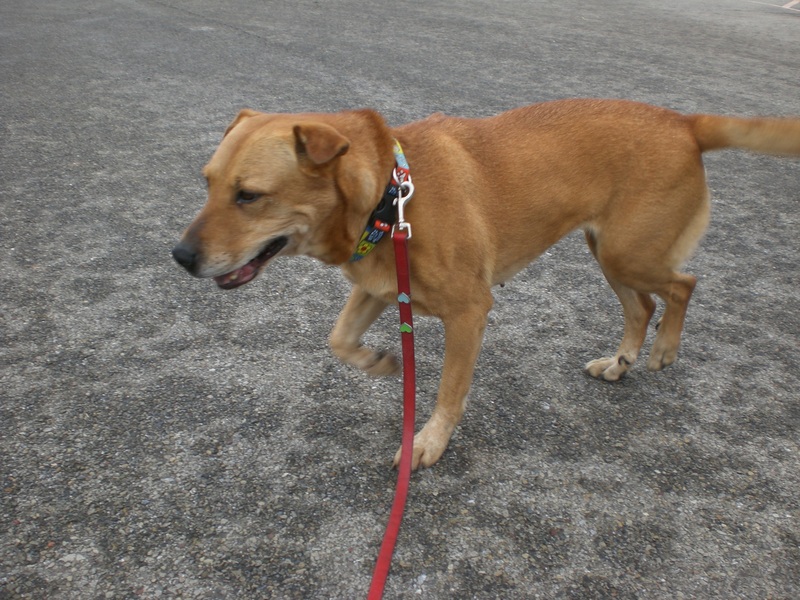 Lilly the six-year-old Labrador Retriever/Shar-Pei mix is such a sweetheart. (I find myself saying that about a lot of the dogs, but that’s because it’s true! There are so many lovable and loving dogs at Orphans of the Storm®–What are you waiting for?!) 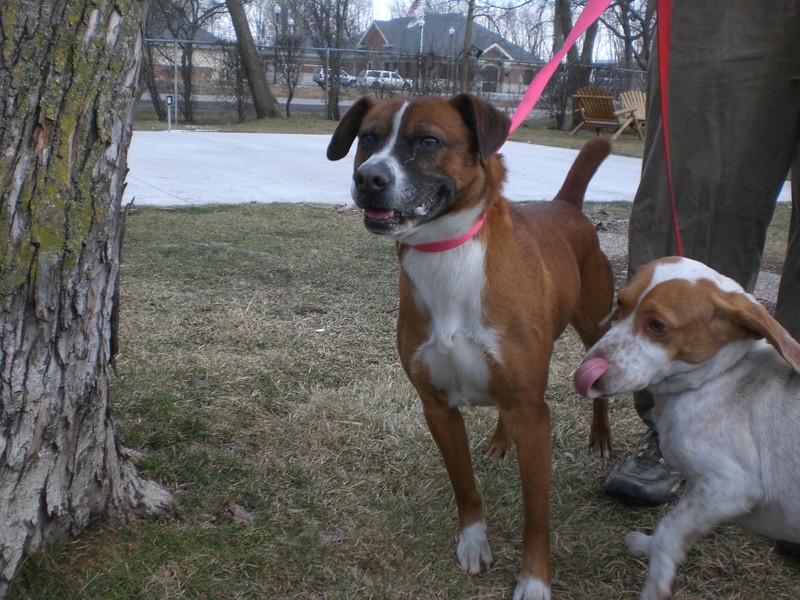 She is currently rooming with Bandit and gets along great with him, so she could do well in a home with or without another dog. You know Lilly has some Shar-Pei because of those adorable ears, and you know she has some Lab because of that wonderful, happy-go-lucky personality. She’s looking for some new companions to love and play with. Her tail wags constantly and she is a big fan of giving and receiving kisses. 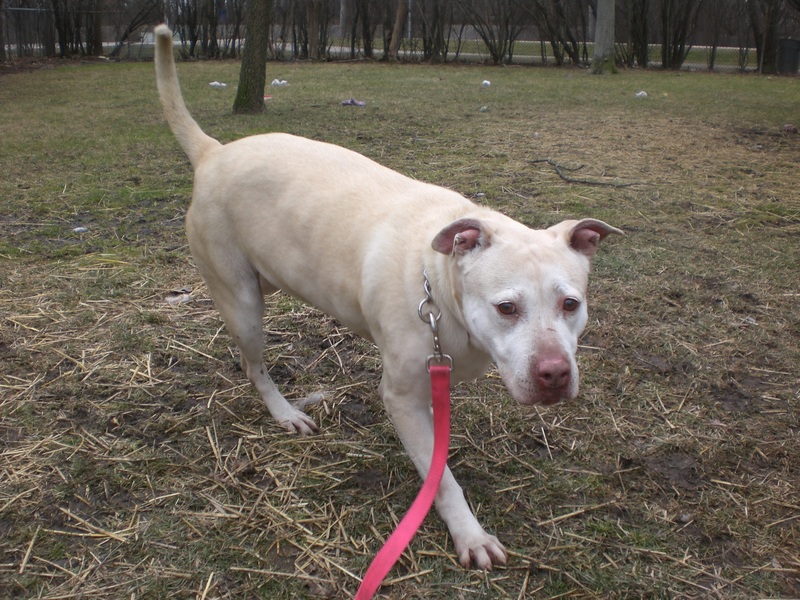 Labs don’t last long at the shelter, so come in soon to meet Lilly! Vivian the one-year-old Pit Bull Terrier mix is (unintentionally) hilarious. I have never in my life seen a dog wag its tail so hard and so much. 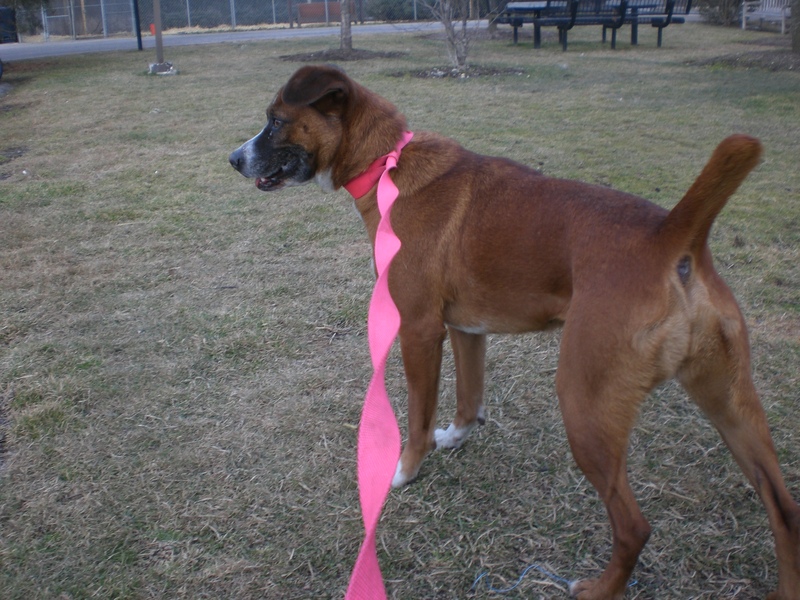 Vivian almost knocks herself over because the wagging doesn’t stop at her tail–her entire body wiggles from side to side. It is too funny and too, too cute. She is such a happy dog! 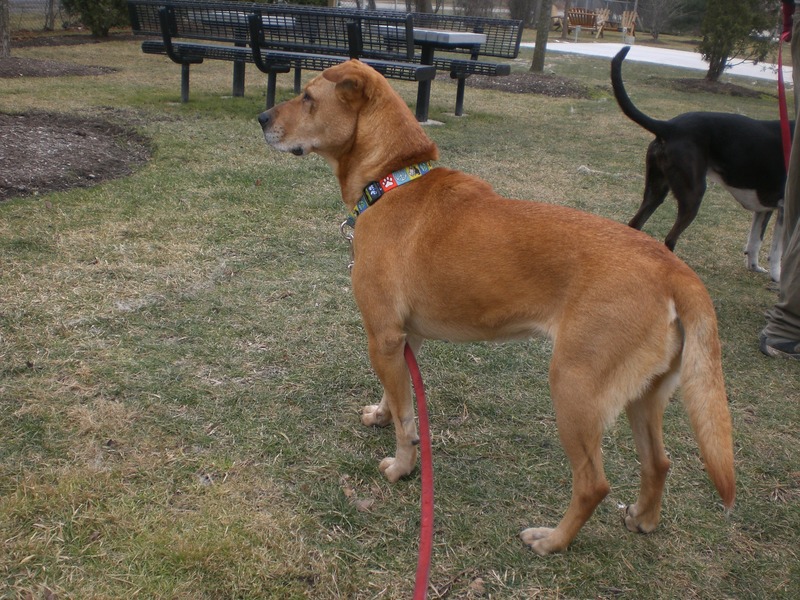 Vivian obviously loves to be with people, and that tail is wagging when she’s around other dogs too. Since she’s still in her puppy stage, she could probably use some basic training. She looks small and skinny, but she is a strong girl who can end up walking you instead of the other way around! Give this sweet girl a chance, and she will love you forever! Keegan the one-year-old Pointer/Pit Bull Terrier mix is another strong pup who would be much happier with a family to call his own. This handsome boy is full of energy, as he should be with that mix of breeds and his age. 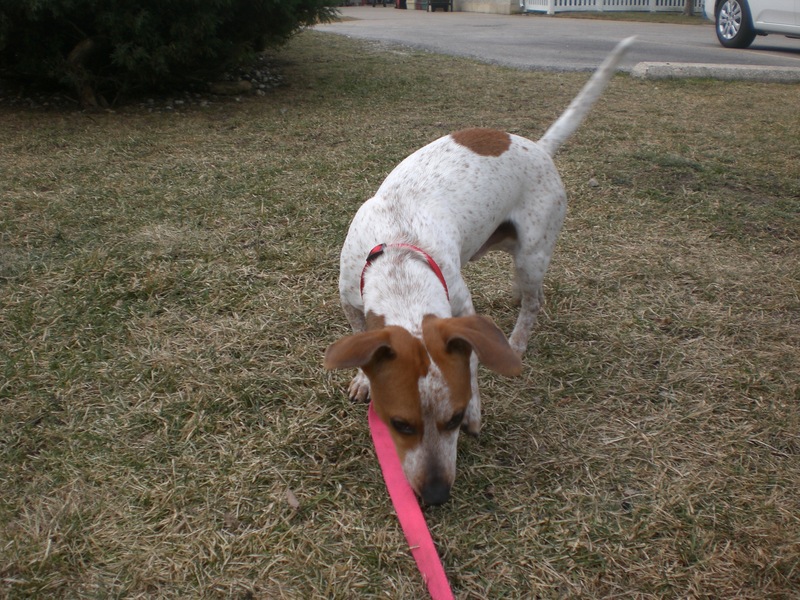 Pointers can go-go-go, so you should be prepared to keep up with them! Keegan will grab your attention as soon as you see him inside his kennel, with his adorable, inquisitive face and those unique markings. 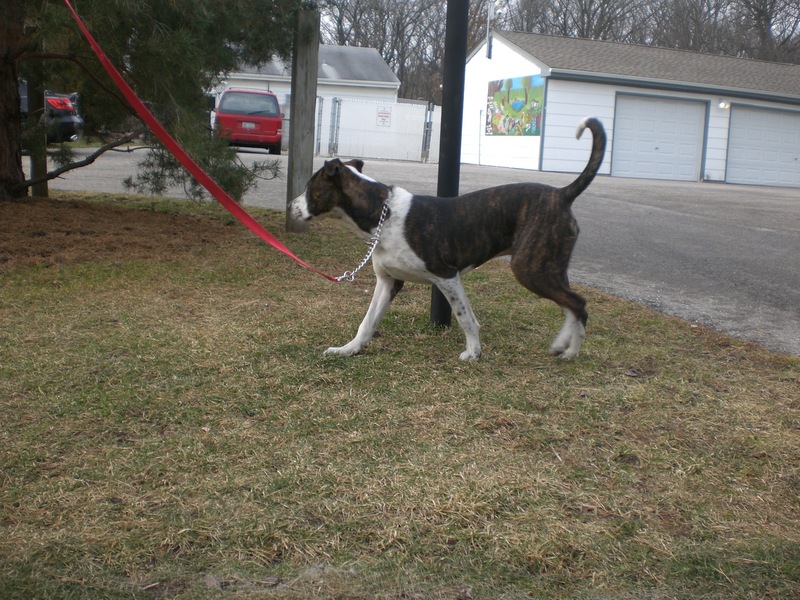 Take him over to the run where he can burn off some energy, and then let him show you what a great companion he can be! 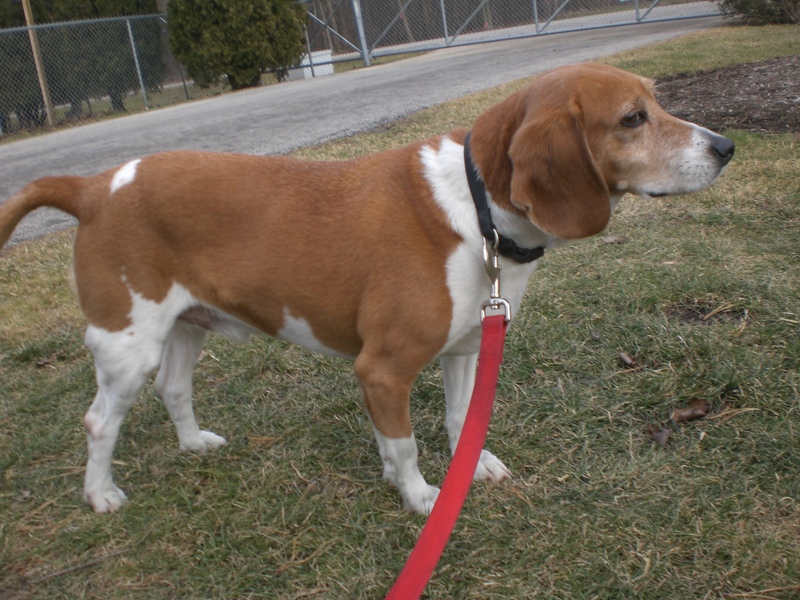 Buddy the eight-year-old Beagle mix is very appropriately named. This guy will be your best buddy if you’re the lucky family who takes him home. (You may have seen Buddy and I pictured together on the Orphans of the Storm® Facebook page! He is very photogenic.) 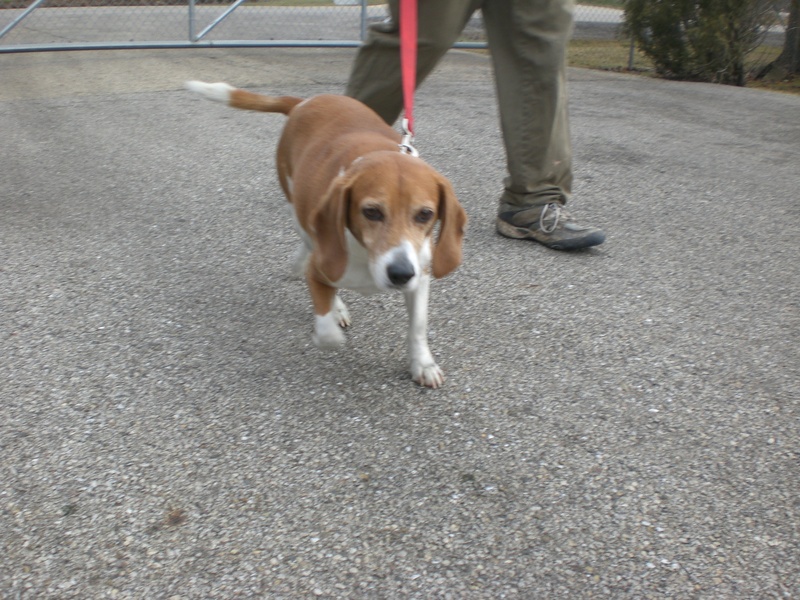 Buddy is great with people and dogs alike, and doesn’t seem to be as talkative as some other Beagles at the shelter. Buddy is a snuggler. If you saw our picture, you saw that he was attempting to both climb into my lap and kiss my nose (before the photographer got his attention). He was also perfectly content to let me pick him up, carry him around, and set him on my lap. If you’re looking for an older dog who still loves to go out and have fun, but will be ready to cuddle at the end of the day, come in and meet Buddy! Toby the two-year-old Terrier/Beagle mix is currently Buddy’s kennelmate and he is just too cute to handle (not literally–I scooped this little guy right up into my arms). The first time I knelt down and started to pet him, Toby did the closest thing I’ve seen to a doggy somersault and flipped right over onto his back so I could rub his little belly. If you end up bringing Toby home, the first thing you must get him (besides the essentials like food and a water bowl) is a squeaky toy. I’m not sure if he stole the squeaky toy from the photographer or if she let him play with it, but boy did he love that toy! He didn’t want to part with it because he was having such a wonderful time, but even so, he didn’t show any signs of aggression when the photographer finally decided to take it back. Toby is ready for a home he can call his own, a family he can call his own, and toys he can call his own! Sonya the one-year-old Terrier mix was a popular dog on the day I was at the shelter. She’s currently living with Dillon (who has really come out of his shell! What a difference two weeks make. He’s still as sweet as before, but now you can see his tail! 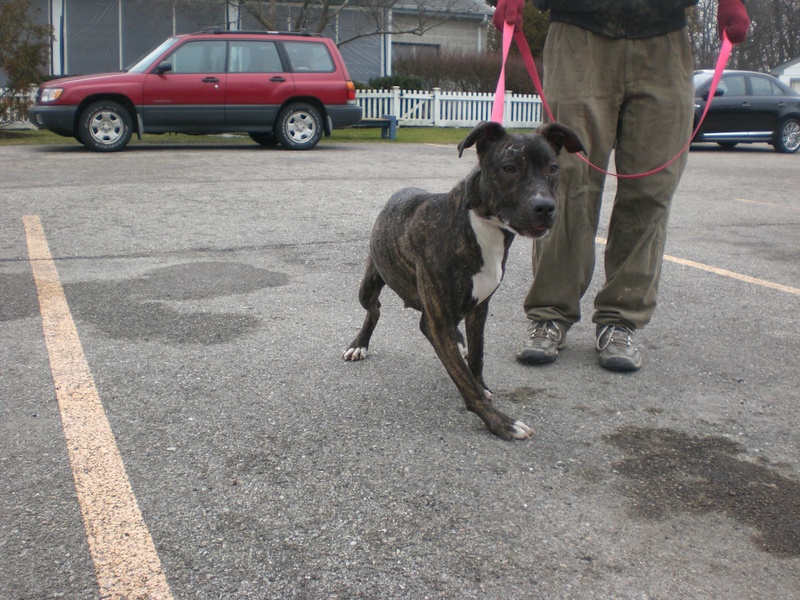 ), so she would be happy to go into a home with or without four-legged friends. Sonya has that great Terrier personality: she’s curious, energetic, happy, and playful. She also has a great look (that face!) and is a great size if you don’t want a dog who is super small or super big. Sonya has lots to offer her new forever family. Come in soon and say hello! Now for some old friends! Emerald the seven-year-old Labrador Retriever/Staffordshire Bull Terrier mix is one of Orphans of the Storm®’s longest residents, and she is another one of the dogs I first took out. Emerald arrived at the shelter back in 2006 with a litter of puppies, all of whom were happily adopted. But what about sweet Emerald? She loves to give slobbery doggy kisses and doggy hugs, and she appreciates getting scratched on her hips and ears. She may be seven (which really isn’t old at all), but she still loves to run and play. Emerald knows that her future family is out there somewhere, so she’s waiting patiently in the meantime. Maybe that future family is yours? You can read more about my first visit with Emerald here. I also took Astro out for a walk (since his new kennelmate was out with a potential new family, it only seemed fair). Poor Astro seems to be a little misunderstood. It’s true that he is a barker when he’s inside his kennel, but can you really blame him? As soon as you get him on a leash and take him outside, he becomes so calm and gentle. You can pet that soft, fluffy fur as much as you’d like, and he’ll stand right by your side. He almost always has a kennelmate, so he does well with other dogs, but would be sure to bond with the person who decides to give him a chance. Finnigan also came out for a walk with me this week. He certainly does like to talk, especially when there are other dogs for him to talk to, but when it’s calm one-on-one time, Finnigan is a big sweetie. There are so many Beagles to choose from at Orphans of the Storm®! Perhaps Finnigan will be the one for you. 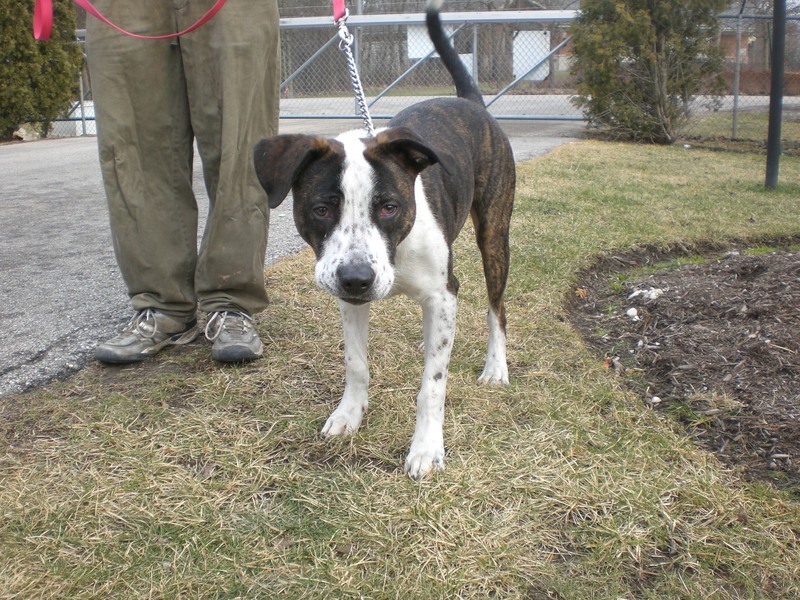 Posted by Meet the Pooches on January 24, 2013 in Dog Profiles and tagged adoption, animal shelter, Beagle, Chicago, dogs, Labrador Retriever, Orphans of the Storm, pets, Pit Bull Terrier, Pointer, Shar Pei, Staffordshire Bull Terrier, Terrier.